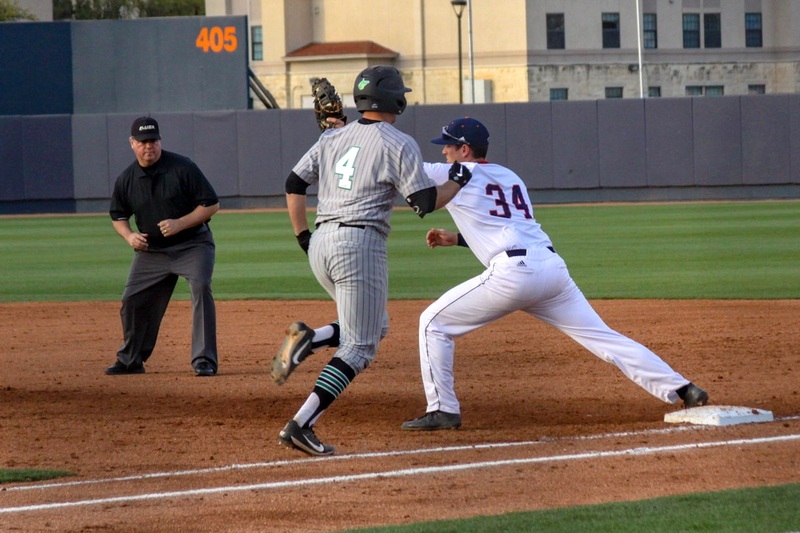 After sitting at three games under .500 just over a week ago, the UTSA baseball team has now won four games in a row following their sweep of Marshall this past weekend. Their last four wins have propelled the ‘Runners to an 11-10 record and fourth place in C-USA. UTSA didn’t just sweep Marshall quietly; they clobbered them. 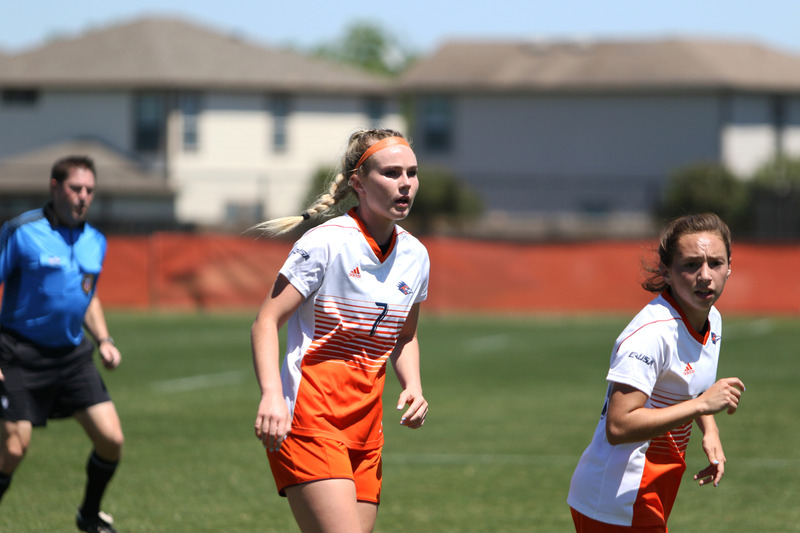 Over the course of the three-game series, UTSA outscored Marshall 27-7 in what was an impressive offensive showing. With this series sweep, perhaps UTSA is on the brink of becoming one of C-USA’s top teams. Marshall came into the series against the ‘Runners with an 11-6 record but now sit at 11-9 thanks to the ‘Runners. In game one, UTSA pitcher Karen Patel was lights out on the mound. Patel recorded a career-high nine strikeouts and carried a no-hitter into the fifth inning before he gave up a solo home run; however, the home run would be the only run he allowed. Patel exited the game after his fifth inning of work and turned the ball over to reliever Palmer Wenzel. Wenzel did what he could to preserve the lead, but after giving up an RBI double and a sacrifice fly, Marshall took a 3-2 lead heading into the bottom of the ninth inning. Having not scored since the fourth inning, UTSA hoped for something to go their way offensively. Freshman outfielder Dylan Rock got things started in the bottom of the ninth with a base hit to centerfield. Immediately after, Estrada walked to put runners on first and second base. A wild pitch from Marshall pitcher Gordon Cardenas moved both runners into scoring position, and Marshall decided to intentionally walk UTSA’s Chase Keng to load the bases. Suddenly, UTSA was on the cusp of victory with bases loaded and one out. Matt Reed came in from the Marshall bullpen to relieve Cardenas, but proceeded to throw four straight balls to each of the next two UTSA batters to push across both the tying and winning run. UTSA stormed the field after Bryan Arias took ball four to win the game. UTSA took the cake with a 4-3 win after a walk-off walk. Games two and three weren’t nearly as close as game one. In game two, Steven Dressler took the mound for UTSA and he was fantastic. Dressler struck out seven batters over 6.2 innings and only allowed one hit. Dressler received plenty of run support from the offense. UTSA’s bats exploded as Ben Brookover, Dylan Rock and Trent Bowels all belted home runs. UTSA’s second baseman Bryan Arias also did plenty of damage at the plate, as he went 3-4 with two RBI’s and three runs scored. The Roadrunner offense plated five runs in the sixth inning to propel them to a huge 11-2 victory over the Thundering Herd in game two. Game three was more of the same when it came to offensive firepower. Amazingly, all nine of UTSA’s batters tallied at least one hit while six out of those nine recorded at least one RBI as well. While UTSA showed an entire team effort at the plate, Trent Bowles led the way as he went 3-5 with three doubles, an RBI and three runs scored. First baseman Ben Brookover was also a huge force, as he went 2-4 with three RBI’s. With the offense’s production, UTSA starting pitcher Chance Kirby had little to worry about on the mound. Kirby earned the win to push his record as a starting pitcher to 2-2 this season. After the sweep of Marshall, UTSA has a four-game road trip that begins Tuesday, March 27 when they take on Houston Baptist University. Then, they will travel to Kentucky to take on Western Kentucky in a three-game series before they return to Roadrunner Field on April 6.